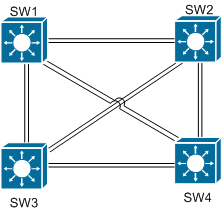 In the below example we will set a password of ‘cisco’ for the VTP domain on SW1. Checking VTP status on both switches we see that the MD5 digest matches. If it doesn’t you’ll need to flap a few interfaces until VTP syncs up.